How do you improve on winning 2016 mountain bike of the year? Easy, do it again the following year by adding more control, more confidence and more party. The award winning Patrol is our most popular bike and continues to push the boundaries of what you can ride on a long travel trail bike. An efficient well mannered ascender that immediately switches into pure party mode on the way down. Speed Balanced Geometry allows us to create an extremely slack and aggressive bike that actually improves front wheel traction going uphill while keeping the bike calm and composed at high speeds through extremely technical terrain. 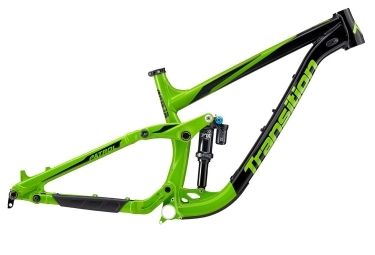 Frame Transition Patrol Alu 27.5"